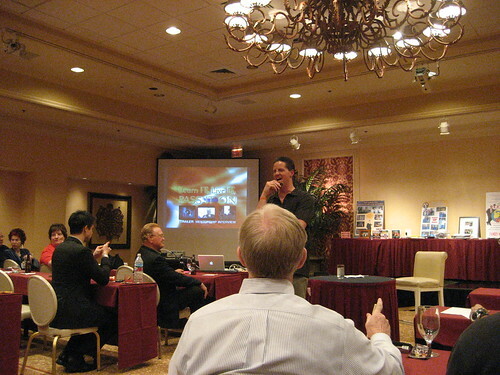 A couple of days ago I was sitting in the Millionaire Speaker Secrets event in Las Vegas when the host James Malinchak was recalling a story about playing in a college basketball game for the visiting team, the Cincinnati Bearcats, against the Louisville Cardinals. He got called into the game and immediately had an impact, one he probably wasn’t expecting. As the play started, James took the ball and drove the lane towards the hoop when the Louisville center, a 6’10, 250 lb All-American named “Never Nervous” Pervis Ellison , came in and smashed the ball out of James’ hands. To rub salt in the wounds Pervis not so kindly told James to “Get that $#%* out of here” in front of 18,865 screaming fans at Freedom Hall arena. To add further insult the game was being broadcast on national television to millions of fans across North America. 1. It gives you something to talk about – them. Everybody loves to talk about themselves and their experiences. And ironically enough most of our learning and growing comes from asking questions, not telling answers. 2. You become more educated about the person so you can ask better quality (more personalized) questions resulting in more powerful answers. 3. It makes them remember you. This is the most important thing in building any kind of relationship. What’s most important is who knows you, not who you know. Since I had a scheduled meeting with James a day after his event I decided to take advantage of his story and make the connection between basketball and meeting. Just like Tom Cruise with his bat in A Few Good Men , I thought James would be in his element with a basketball in his hands. So I sent him a text the night before our meeting asking him to bring his basketball stuff. I began to rethink my request minutes after I received his eager reply because I wasn’t 6’10, 250 lbs and definitely wasn’t an All-American. I hadn’t even played basketball since high-school, almost 20 years ago. 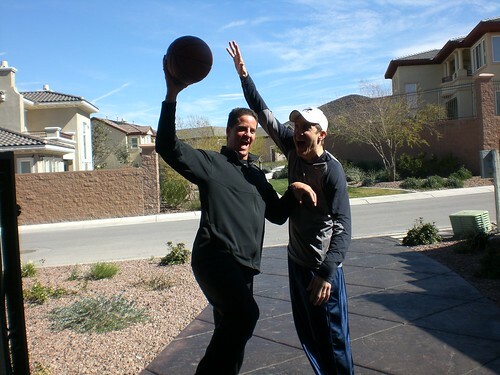 If I was going to do this I needed to find a gym and practice all night to clean the rust off my basketball skills and at least try to be respectable with the former NCAA Basketball player. I thought with only one night of practice, my odds were not good, even if I pulled an all-nighter. Trying to think of other ways to improve my chances of success I remembered an old saying: “The guest should never show up (beat) the host.” Don’t Google it though as I might have made it up. But it was good enough for my conscience. It allowed me to rationalize that taking a beating in basketball was worth building a relationship. At the very least I would get a bonus lesson on how to play basketball. Meeting day comes and James picks me up in the morning a drives us to the local recreation center to play some basketball. After warming up, we decided a game of 21 was in order (first person to score 21 points wins). James quickly crushed me and was the first to 21 points. My competitive ego was not happy so I immediately said to James, “best-of-three?” He agreed. After a couple of more games of basketball and some breakfast we headed back to his place. Within thirty minutes of returning to his home office and brainstorming our thoughts James said to me, “I have some great ideas for you. Write these down.” He gave me not one or two, but three great Million Dollar ideas that I could immediately put into action. It was a truly fantastic meeting. Not only did I gain incredible knowledge and insight from a world class marketer and business owner but I also got to realize what a great person he was outside of his expertise. What I’ll remember the most however was when he said, “That was so cool. Nobody has ever done that. I won’t forget that.” Neither will I.